HSM - Easi-Dec’s Board-Walk platform provides greater protection thanks to a recent update. Home >Easi-Dec’s Board-Walk platform provides greater protection thanks to a recent update. Easi-Dec’s Board-Walk platform provides greater protection thanks to a recent update. 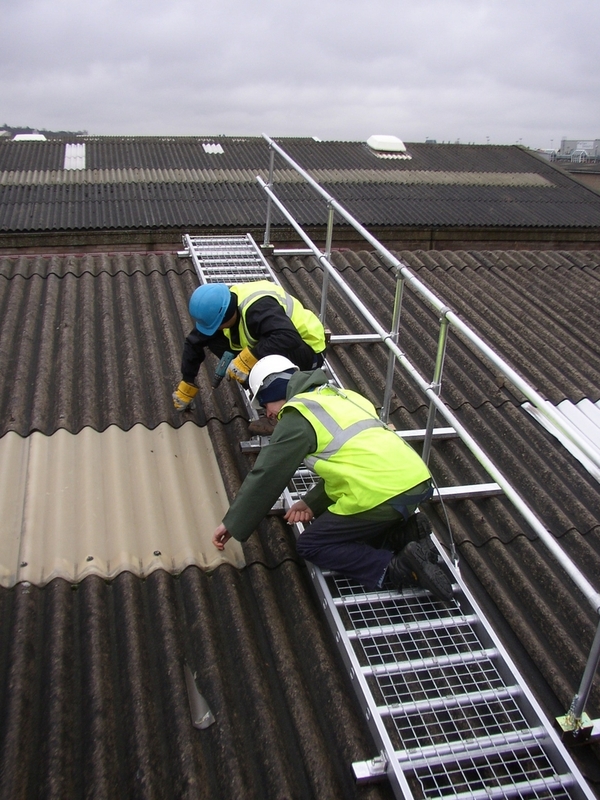 Board-Walk is a lightweight aluminium walkway, which allows access from eaves to ridge whilst spreading the load on support battens and provides the user with a safer working position. Each 2m, 3m and 4m section complies with BS EN12811-1 2003 and is fitted with an independent safety line (EN795:2012). Particularly suitable for fragile roofs, access over skylights and glazing, the mesh walkway allows for full visibility. Each system is designed to fit individual roof sizes and configurations and can be installed to run vertically up, or down, and now, following a simple modification, horizontally across the roof (max pitch 30deg), making it usable in a wider variety of configurations. The system can be modified to suit on-site requirements and previously owned vertical systems can be upgraded with the addition of a few simple parts.